byFlow is hot .. seriously, globally hot. Again. Nina Hoff, CEO of the Eindhoven-based 3D printer startup, recently spent 12 hours filming a morning show segment with CBS This Morning from the United States. THEN, Dutch media tracked her down and localized the byFlow story. And it’s quite a story, one that has more twists and turns than an Efteling roller coaster. In fact, byFlow is such a departure from other Eindhoven startups that it’s difficult to know where to start when telling that story, which includes a Hollywood storyline complete with a 65-year-old intern, Michelin-starred chefs and way more calamity than conquest. First, the HighTechXL alumnus is the only family business to enter Eindhoven’s premier tech hardware accelerator. Second, females as top executives at Dutch tech startups are rare. Third, the team got into its current industry sector pretty much by accident. But the most interesting aspect of byFlow is that everything went wrong before it went right, and the family/team didn’t give up. Disruption is harder than it looks. Disrupting an industry is harder than it looks. Even when you are first-in. Father Frits Hoff and son Floris Hoff – industrial designers with strong industry experience - have been in 3D printing since the industry began in 2011, said daughter Nina Hoff, starting out working in makerspaces and fablabs. They formed byFlow in 2013 and by 2015, the industry was booming. In this environment, the Hoffs had one goal: “We wanted to disrupt the 3D printing business,” Nina Hoff said. As with so many great startups, Floris Hoff was motivated by frustration. “Floris came up with his own designs because he got fed up with the 3D printers of that time,” Nina said. “They were always broken … on the weekends, the only thing he came in to work to do was fix the printers. Floris wanted to build a printer he could take anywhere because he was studying in The Hague, doing an internship at TNO, theNetherlands’ applied-sciences research organization, then working for his father’s company in Maastricht on the weekends. “It was really a James Bond kind of thing,” Nina said. Floris also got bored with only printing plastic, so he decided to try paste-like materials such as silicone as well as ceramics for medical uses. The final result was a printer that was both portable and could print a variety of materials. “We were really thinking this was going to disrupt the world because everyone had seen the plastic printers,” Nina said. “Now there was anew printer on the market, an easy-to-use printer that looked really nice and that could print different clays. It could even print Nutella for testing purposes. Which is going to be important, so make a note. “This was the idea … taking the next step in 3D printing indifferent materials,” Nina said. 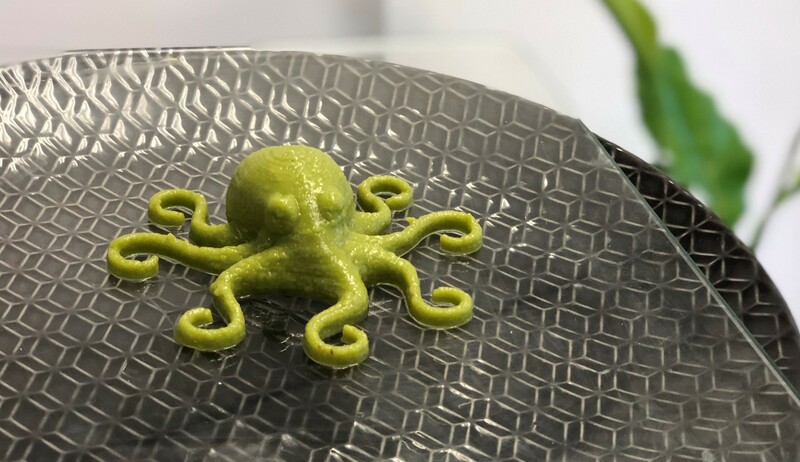 This octopus shape is printed using ... wait for it ... broccoli! Innovate, they did. Disrupt, they did not. For their troubles, they ended up in the dark corners of convention centers at too many giant trade shows. They needed to be seen. They needed some pub! So they came up with a marketing approach playing on the versatility of the byFlow machine. 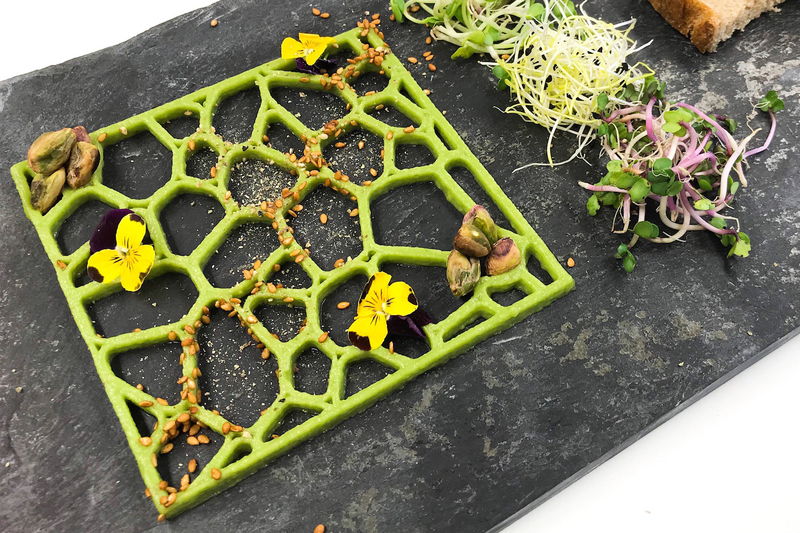 Because Floris used Nutella, Frits decided to create a small restaurant showing they could 3D print plates from ceramics, cutlery from plastics and food from pureed ingredients. Raue agreed to do a show that was a huge success, covered byBBC, Forbes and other global media. “We decided, ‘The world press wants this, so it must be a salable product!’” Nina said. At that point, they’d built 20 prototype printers and sold a few. So with a product, plan and publicity, they thought they were on the track when they joined the first HTXL cohort in 2015. At HighTechXL, they found out their MVP was MIA. Going through the paces of the rigorous business accelerator revealed inherent problems that literally sent the family back to the drawing board. For example, it took eight hours to build one printer, and the material costs were so high that byFlow sold them for 10,000 euros each … and still couldn’t turn a profit. So, after they graduated from HighTechXL, they sat out 2016 to do a complete redesign of the printer, then tried to sell 40 prototypes to early adopters so they could get feedback. Because of their restaurant publicity, byFlow had movies with more than 30 million views. They’d gotten tons of media attention including a write-up in the New York Times. “Everyone was so interested in our product,” Nina said. At the same time, they were working with Callebaut, one ofBelgium’s largest chocolate brands. Everyone loved the byFlow 3D printers. But just not enough to buy them. “We got really stressed in January 2017 when we found out we’d sold 40 printers. And there were no more leads and the money was going down,” Nina said. Right on cue, “The Intern” showed up. “I don’t know if you’ve seen the movie ‘The Intern’ with Robert De Niro, but we have exactly the same story,” Nina said. Paul is their 65-year-old “intern” who stemmed the downward spiral. Though the Hoffs didn’t make it easy for him. Paul tried to apply for a sales job, but Nina was at an HighTechXL alumni day. “He tried to call me twice,” she said. “I heard his voicemail and said, ‘Oh, it’s an old man.’ I didn’t call him back because we need young people in this company.” Floris is 25 years old, and Nina is 26. Okay, he’s not an intern … he’s actually a consultant who’s still there at least two days per week, and as many as four. The only people who’d bought byFlow printers were interested in one thing: food printing. Not in ceramics. Not in silicone. Not in plastics. But in April 2017, after more investor meetings and market research, they made the decision: from summer 2017 onward, they are only selling a 3D food printer. Which is exactly the same machine, though with upgrades and improvements for food printing. Since June 2017, byFlow has sold more than 200 units to restaurants, bakeries, event companies, caterers, food schools, chocolate chains and international food companies. They’ve worked with several top chefs including Jan Smink, who is opening a restaurant with printers on the table. Restaurant Smink is set to open tomorrow, September 21, in Wolvega in the Friesland province of theNetherlands. 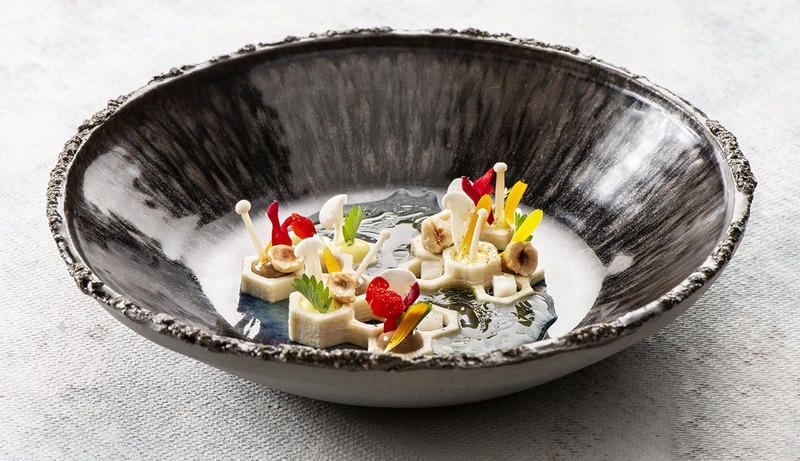 The celebrated Dutch chef fell in love with the concept of 3D dinners last year. As restaurants look for the new new thing, Nina said, they now see how big an impact they can make in the food sector. A dish created by Jan Smink using byFlow's Focus 3D Food Printer. Photo from jansmink.com. People at top-end restaurants want the full experience from how it was designed, the chairs, the plates , glasses and the staff, she said. With open kitchens, people want to see what’s going on. 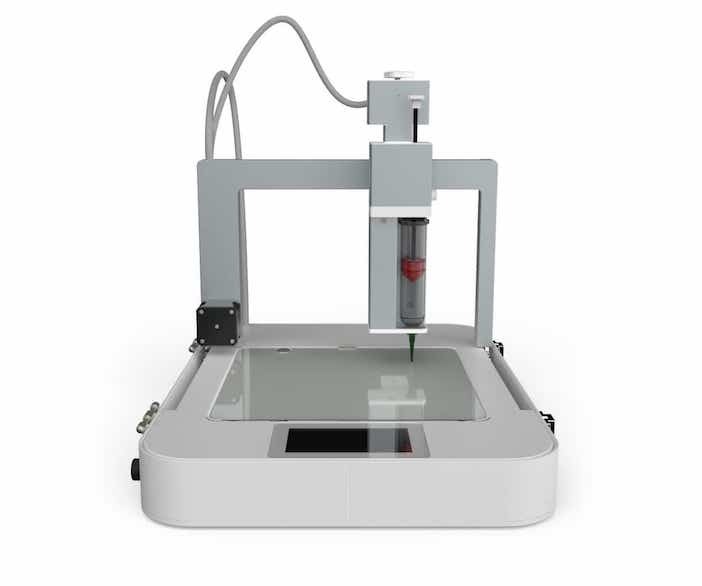 With the 3D printer, it’s portable and you can put it on the table. “Food is all about experience. You can really surprise your guests with a wow effect,” Nina said. By February 2018, byFlow’s fortunes were turning. Everyone was talking about them again. They were selling product. “But we’re still at the beginning. We’re still in the early adopter stage. We didn’t realize how much time it takes to … really grab hold of the market and be the first to sell your product,” Nina said. “You have to be creative. We’re doing a lot of marketing.That’s so important, always being out there, collaborating with new people. Coming up with new ideas. “We have to sell not only the product, but the whole experience. We’ve been working with startups for the past three years, supporting them to build their businesses using our proven methodology and connecting them with our vast network of mentors. Find out here how we can help you take your startup to the next level by applying to our accelerator program.